Awesome single family pool home (3 bedroom plus den) in highly desirable Royal Palm Beach community of La Mancha (No HOAs). Freshly painted with a new roof! Immediately you will see how well maintained this home is as soon as you pull up and enter through the screened front porch. Interior is large and spacious with volume ceilings. 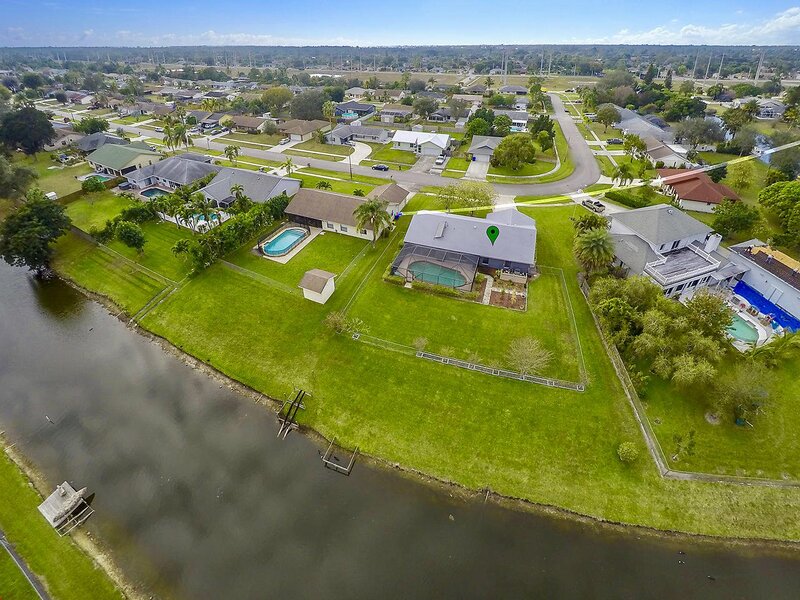 Enjoy the oversized .33 acre canal front lot. Lot extends beyond the fenced in area, survey available on request. Huge screened in pool area. Part of garage converted air conditioning suitable for den/office area. Additional features include storm protection and solar panels. Convenient to Florida's Turnpike, area dining and shopping. Listing courtesy of Chasewood Realty, Inc..